Industrial estates are not known for cafes. 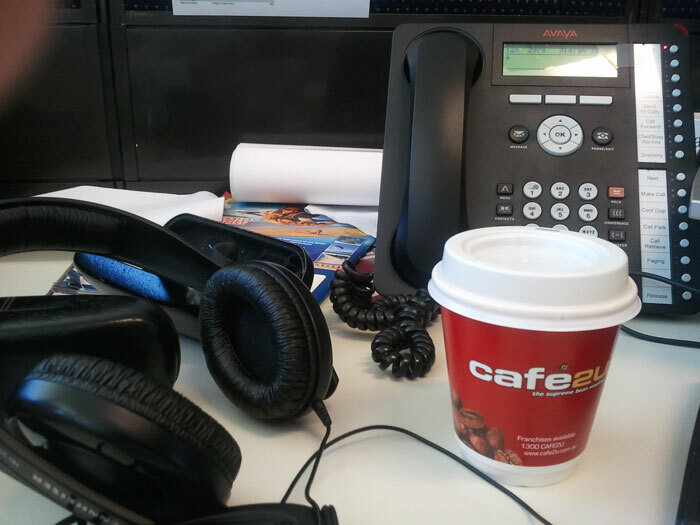 Currently I work in an office in Eagle Farm, and unlike when I worked in Spring Hill or Milton, getting a decent coffee is all but impossible. Barring work-supplied instant coffee, the only other options are to bring in your own takeaway coffee, bring what you need to make it yourself, or the coffee van, which turns up most mornings around 9:30. In case you have never seen one, a coffee van is pretty much just that. A van, with an espresso machine and an amusingly spelled or phrased name, whose purpose is to drive around selling coffee and light snacks. The coffee itself is usually acceptable and the prices are fairly reasonable, comparable to what you would expect to pay in a cafe. Which is good, considering the lack of alternatives closer than a ten minute drive away. 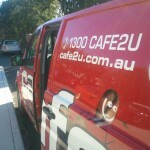 The one that stops by my office is a Cafe2U franchise van, which fills the cafe gap as well as can be expected. If you have a chance, go to Corporate Coffee and enjoy the real taste! It never is just about the coffee though; cafes are more than just a well placed espresso machine. A coffee van is not something you can go to for lunch, or a destination for a coffee run and a chance to leave the office. A coffee van does not come close to replacing the ‘Cafe Closest To The Office’ experience. 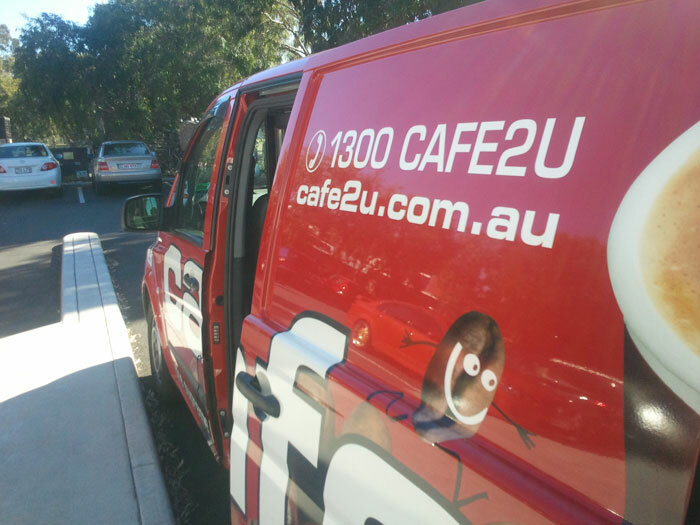 For those who have been consigned to the office denizen nether hells of a suburb in the middle of nowhere, the coffee van is a rare glimpse of how things could be, if you worked somewhere else. If you work near a good cafe, treasure it.